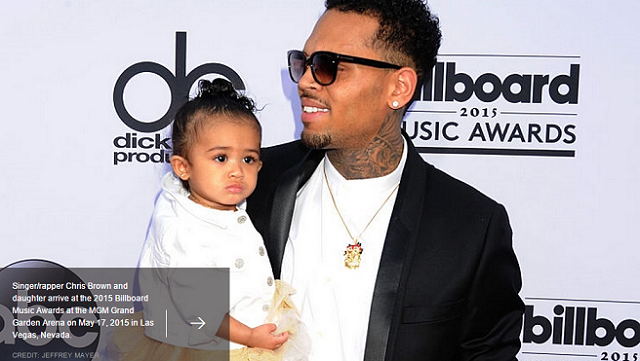 Rapper and singer Chris Brown, who performed at last night's 2015 Billboard Awards, took his little daughter, Royalty with him as he walked the red carpet. The child had been living with her mother and the mom's boyfriend until a paternity test showed that Chris Brown was the father. Chris had a one-night stand with the baby's mom while dating Karrueche Tran, she has since left him soon after the baby news broke online.